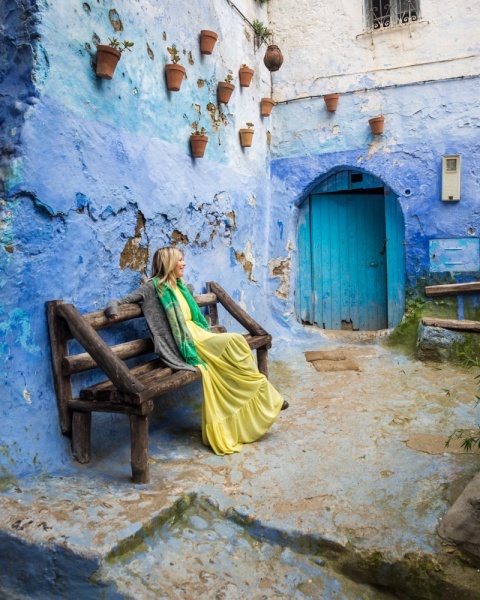 If you are on Instagram you have undoubtedly seen gorgeous photos of Morocco. 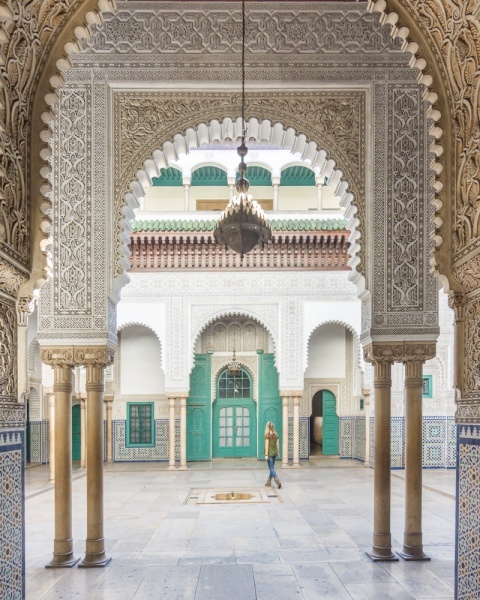 Colorful doorways, luxurious riads, spectacular mosques, intricate architecture, and vibrant markets are just a few of the classic photo ops in this amazing country. 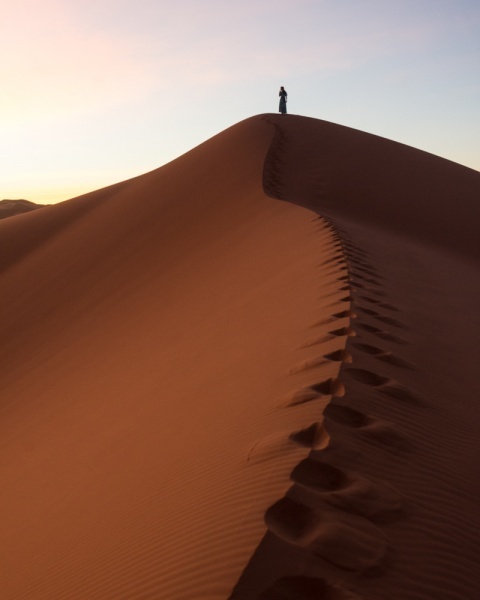 We spent 6 weeks in Morocco and took countless photos in order to bring you a list of the best places to snap your Instagram-worthy shot. Visit touristy places really early or just before sunset to get the best light and smaller crowds. Many Moroccans (especially the older generation) would prefer not to have their photo taken. Be sure to ask first and don’t be surprised if you get a “no” in response. Pack your photography gear! 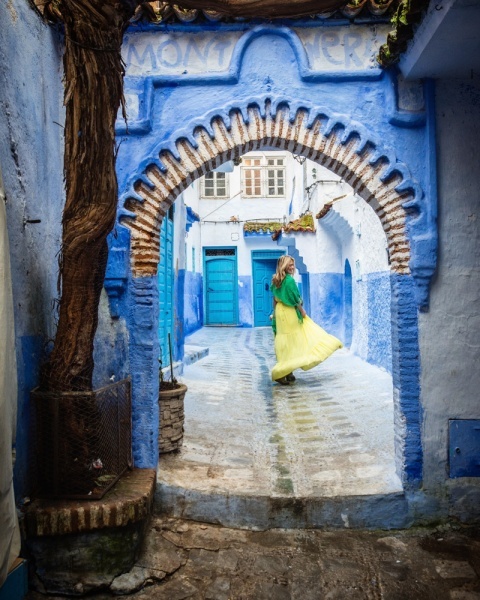 Don’t count on your phone for taking your best shots in Morocco. Check out our list of travel photography equipment to see what we carry on our travels. 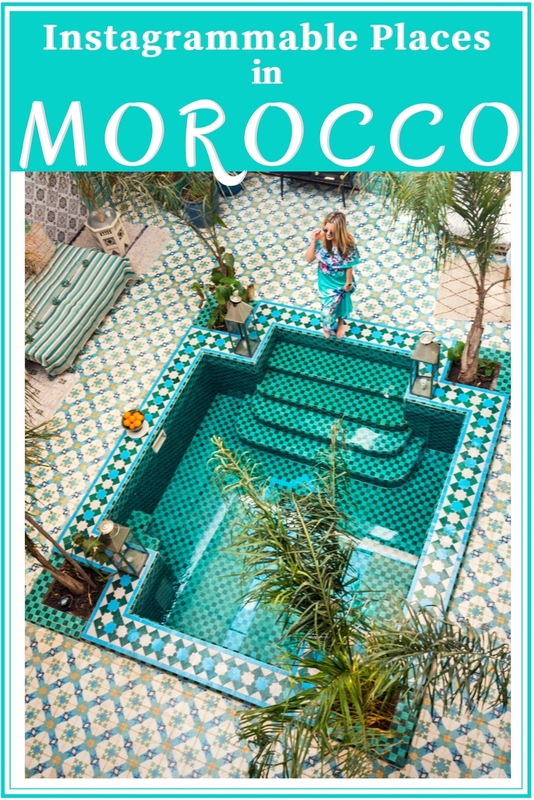 Marrakech gets the highest number of tourists in all of Morocco and for good reason! 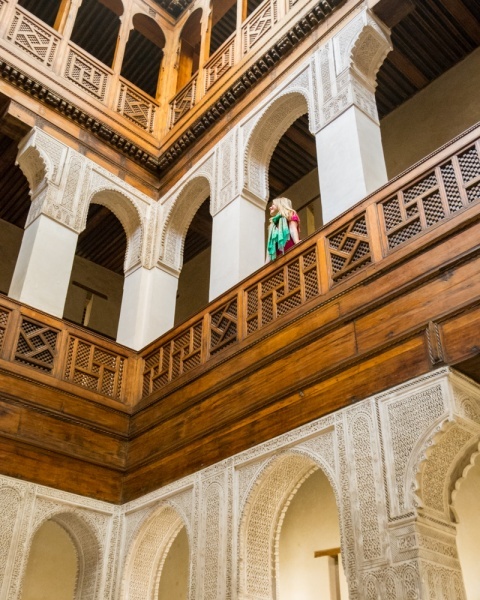 There are beautiful gardens to explore, colorful riads, stunning palaces, and a never-ending maze of alleyways filled with shops. It’s impossible to take a bad photo here. We’ve compiled all of our favorite Instagrammable locations in this vibrant city so you can get the best shots. 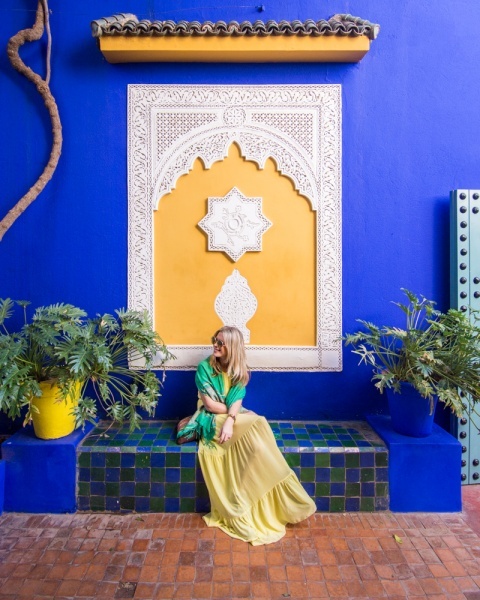 Read more about the best things to do in Marrakech here! Closed for construction until 2020. 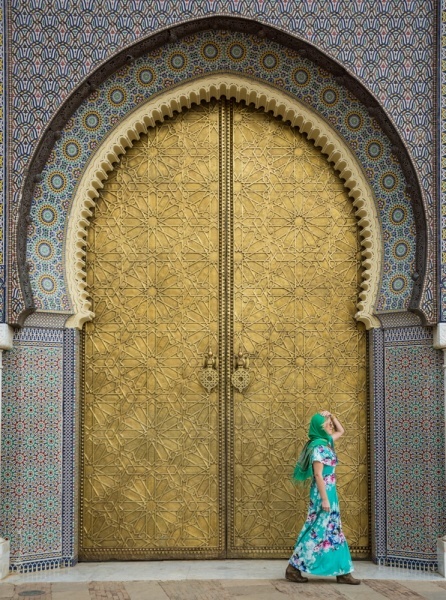 Casablanca is a big, bustling city where the young and hip kids of Morocco go to make a living. 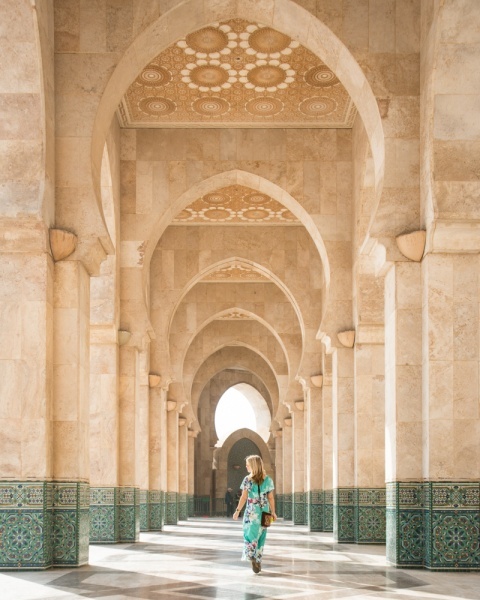 Many tourists skip it on their tour of Morocco but it’s worth a stop as it is home to one of the most impressive mosques in the world! Check out other adventures awaiting you in Casablanca here. Fes is like a smaller, more manageable version of Marrakech. Here you’ll find a large souk selling countless Moroccan treasures as well as several madrasas and museums with stunning architecture. Plus this is where you can see the old school tanneries in action which is a sight for your eyes and an assault on your nose. Read all about what to do, where to stay, and food to try during your trip to Fes! It would be a travesty to travel all the way to Morocco and miss out on seeing the Sahara desert! 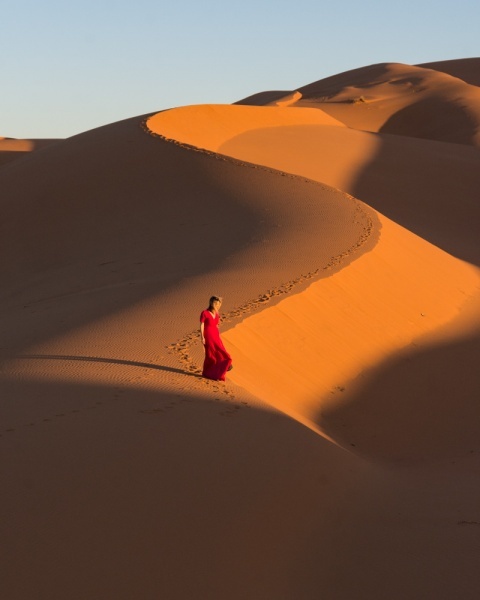 The expansive golden dunes that stretch out for miles are the perfect backdrop for photos. Be sure to head out both at sunrise and sunset to get the best light! Follow our itinerary to take a road trip through Eastern Morocco. 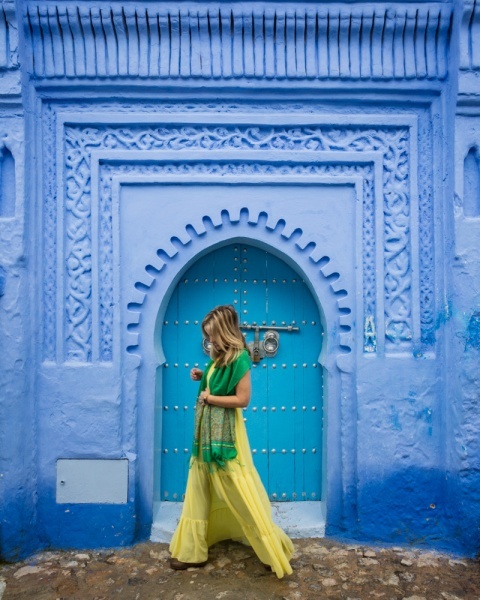 This darling little blue village is a must-visit while in Morocco! It’s winding narrow alleyways are all painted in a similar shade and colorful planters decorate the walls. You’ll want to stop at every doorway and every set of stairs to take snaps some gorgeous Instagram-worthy shots. Get inspired to visit Chefchauen by checking out our favorite shots! This laid back coastal town is just a 2-hour drive from Marrakech. Here you’ll find stunningly beautiful accommodations owned by French expats with interesting stories of buying a one-way ticket and making a life there. You’ll also find plenty of beach activities, delectable cuisine, friendly people, and of course, shopping! 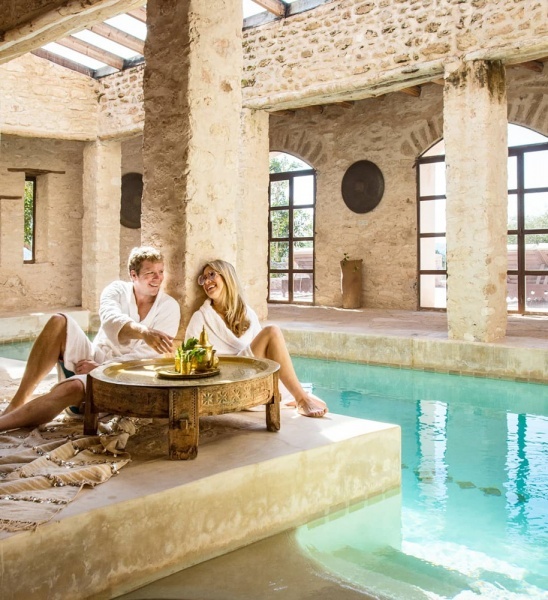 We found the best place to take photos in Essaouira to be at the Villa Anouk right outside of town. Check out our other favorite activities in this quaint town! Want more advice? 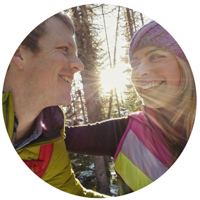 Check out our favorite travel guides!